We love terrariums as they bring a bit of the outdoors indoors. A miniature landscape to explore in your imagination, a small bottle of the sights and smells of the woodlands. 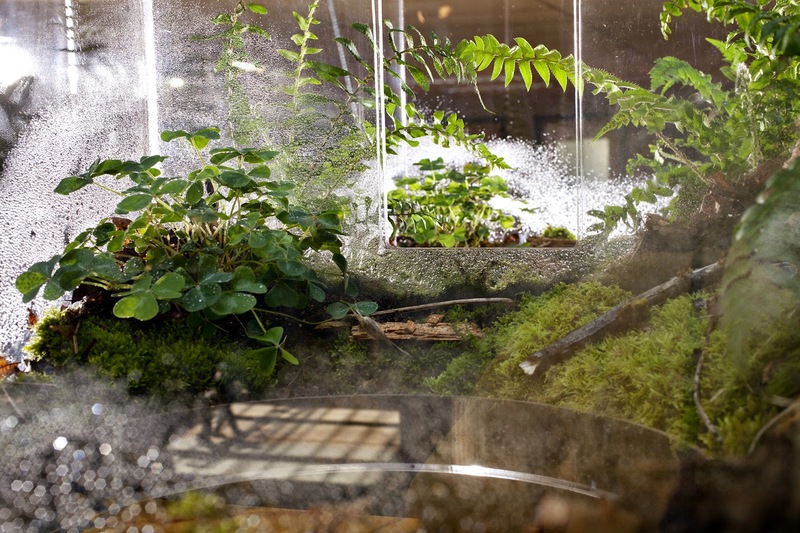 Artist Vaughn Bell capitalizes on these characteristics with an immersion experience: a hanging terrarium you can pop your head into for a look around. This is one of many art installations at the DePaul Art Museum in Chicago that focus on soil.